The third of these rapid fire macro lager reviews is probably the one I was most interested to try. It's from Mongolia, a very scarcely populated country situated between Russia and China. It's quite a large country, although much of the country is close to uninhabitable - leading to be even less densely populated than Australia! This lager poured a nice golden colour, with a large off-white head. The head retention is not brilliant, as you can see in the photo, however it does eventually settle at about half a finger of foam. It even laced the glass a little! Normally I don't comment on a beers label, however I quite like this one. It was simple, yet still stood out on the shelf. It's a good looking beer. The nose surprised me, and also managed to pass my lager test. Firstly the aroma is very minimal, so it gets a tick from me. The surprising part was; what aroma there was wasn't sweet! It was grainy and had this light peppery aroma at the back end, which became more prominent as the beer warmed. I'm not sure where this aroma is coming from, potentially the hops? It's not an aroma I can remember smelling in a lager. Chinggis Mongolian Lager tasted sweeter than the aroma indicated it would. Although, that said, it still wasn't sweet on the lager scale. The malts were light and slightly sweet, but were mostly grainy. The hops were not distinguished but provided more than enough bitterness. It was only lightly carbonated and quite refreshing. 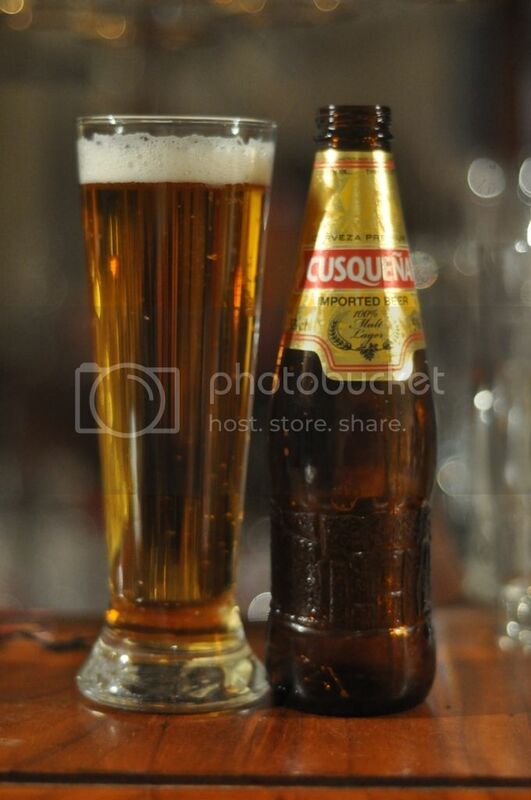 It's not a world class lager, but it is a drinkable lager. I actually quite liked Chinggis, whether this is the low expectations I went in with or not, I'm not sure. 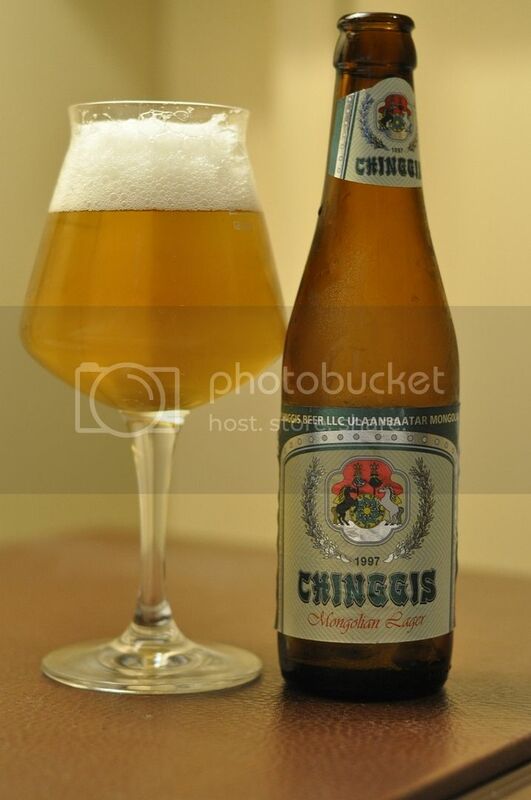 However there are much worse lagers out there than this one from Mongolia. Like Club Colombia yesterday, I wouldn't be booking a flight to go try this beer - but if you end up in Mongolia, or run into it somewhere, it's certainly worth trying.